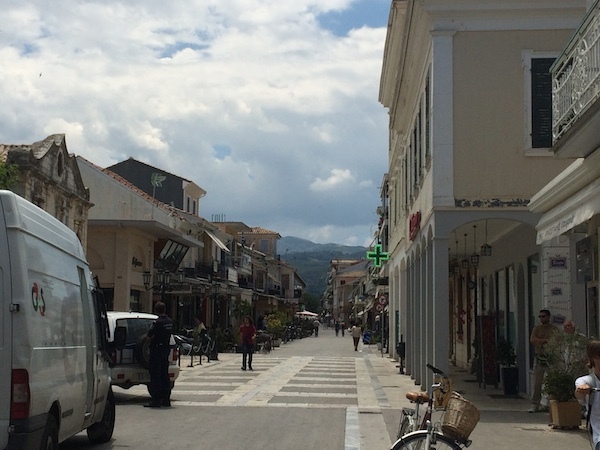 Our sketchy plan included Greece and we were not to be perturbed by the ongoing financial crisis, if anything the lack of monies in Greece and fear that tourists would be put off encouraged us. Surely it was now more than ever they needed our Euros. We have to admit that, normally travelling in June to avoid busy periods, we thought this could unfortunately but fortunately for us be a wonderful opportunity to enjoy Greece in July in peace. We filled our tank with fuel and ensured we had plenty of Euros, knowing that the banks were ‘closed’ and continued as planned into Greece, prepared for our own Grexit if needs be. 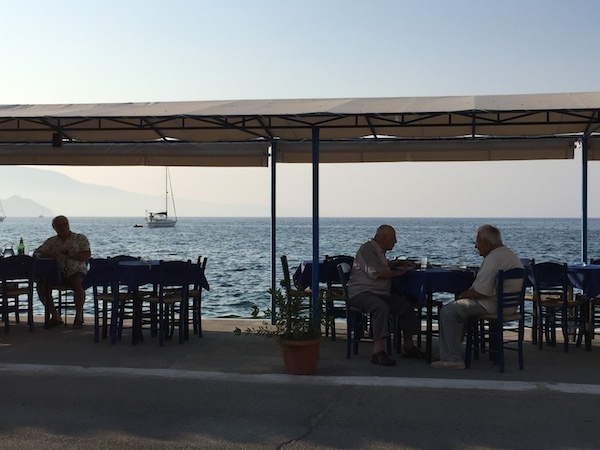 Initially we thought ‘what Greek Crisis?’; locals sat chatting in cafes swinging their rosary beads, families sunning themselves on the beaches and couples lunching in roadside restaurants. There was evidence of the crisis though; in every town queues at the ATMs, many with policemen or security guards standing watch. We tried to top up our Euros at several ATMs to find them empty, finally succeeding after queuing at a big bank’s ATM for a while. Nobody, including petrol stations, is taking cards, for fear that their banks will not be able to pass on the cash we assume, and in towns that evidently depend on tourists to fill their many restaurants and cafe’s, tables and chairs stood eerily empty but hopefully laid all the same. 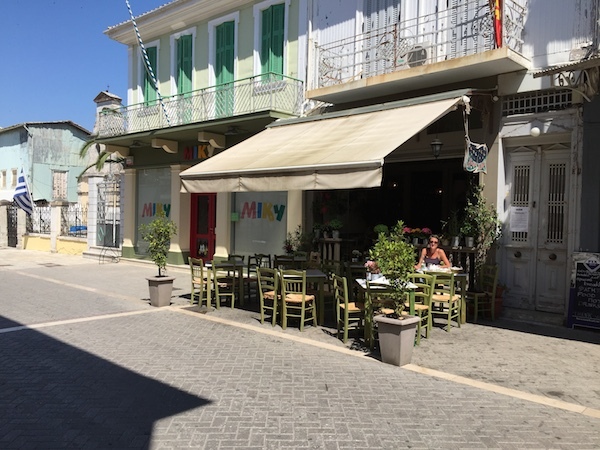 We enjoyed beers, gyros and delicious lunches in Old Town Lefkada, thankful of the narrow shady streets, again sitting alone other than for a few locals. Into the Peloponnese we stopped briefly at Gialova in Navarino Bay, poignantly where the last battle of the Greek war of independence was fought. The last sea battle fought by ships with sails, the British, French and Russian forces joined against the Ottoman Turks in support of an independent Greece. 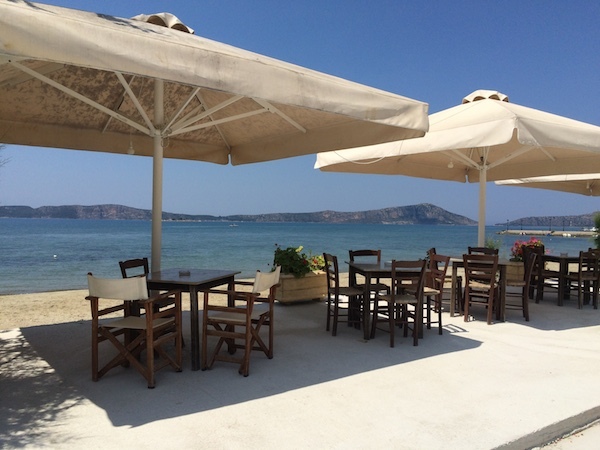 A beautiful large bay where 70 plus boats battled for an afternoon and would normally now be full of tourist sailing ships, eerily empty and quiet, just a dozen extremely stylish and well finished restaurants with tables by the sea all empty. Campsite owners greeted us with open arms, evidently surprised and extremely pleased to see us. A choice of pitches with sea views in Camping Meltissa near Arkhoudi. 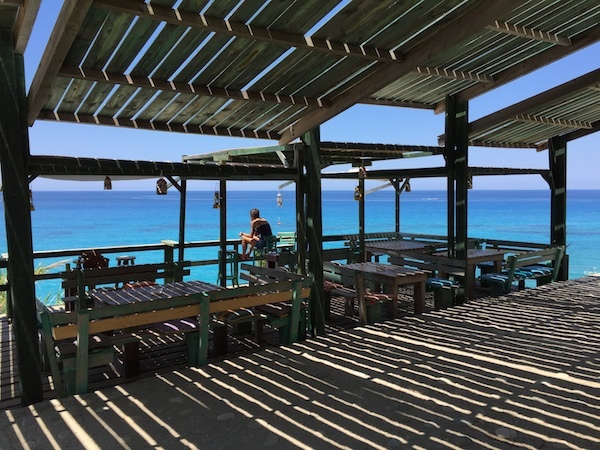 We were so pleased and sad at the same time to find such a wonderful place with kilometres of sandy beach and clear blue waters with amazingly few people even at the weekends. On the eve and day of the referendum, if it wasn’t for our regular checks of the news, we wouldn’t have known that anything was amiss. Sunday was actually the busiest day we have seen so far on the beaches and in the bars. In the following days we spoke to several business owners, campsites, bars and restaurants as we did our best to boost the economy (our bellies now feeling the strain!). One restaurant owner captured the feeling, “I fear we won’t be fat enough for the winter”. Most thought a vote yes to accept or no to reject the bailout offer would not really make a difference on the coast, away from the big cities, they just know that they need help somehow but it’s always hard to accept you need help when you are so proud of what you have.